This week, Knowledge Enterprise Development at ASU launched ASU KEDtalks, a series of conversations for curious minds. KEDtalks are the bridge between your curiosity and what ASU researchers are exploring and discovering. KEDtalks spark ideas, indulge curiosity and inspire action. These are “aha!" moments and stories that are shared at dinner parties, around the water cooler, and over a cup of coffee. They connect you to others like you – people who care and want to know more. We are delighted that you are here as a fellow explorer. 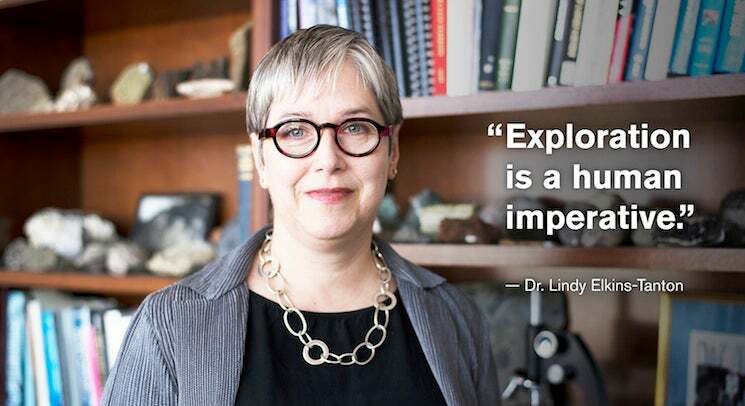 Lindy Elkins-Tanton, the director of the School of Earth and Space Exploration, is the first KEDtalk featured researcher. Elkins-Tanton is the principal investigator for a mission currently under consideration by NASA to explore Psyche, a massive asteroid composed primarily of nickel and iron, and located in the Asteroid Belt between Mars and Jupiter. Psyche may be one of the best ways to understand the interior of our own planet. In her KEDtalk, Elkins-Tanton discusses the proposed mission, why humankind should continue to explore space, and why it is okay to not quite know where your path in life might take you. And there's more with Elkins-Tanton in the KEDtalk podcast.